Nashville is many things to many people. It’s Music City, the state capital of Tennessee, and the home of the Tennessee Titans. 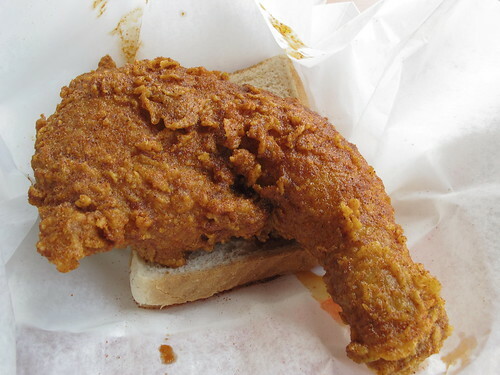 To me, Nashville is the home of Vanderbilt and hot chicken. 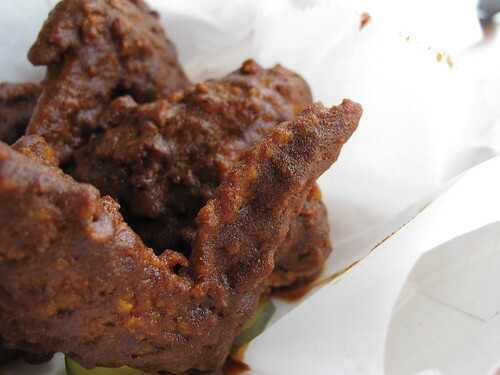 From what I’ve read, hot chicken began in Nashville with a jealous girlfriend and an act of revenge and from there it sprouted into the Nashville landmark, Prince’s Hot Chicken. 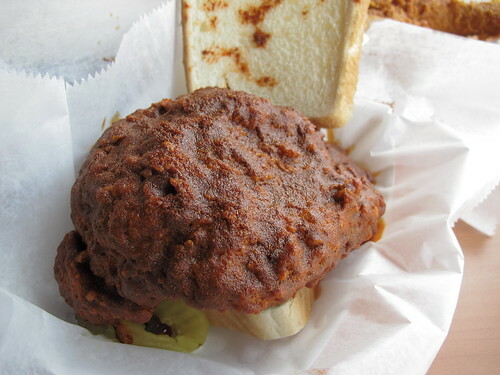 Many times immortalized by John T. Edge and The Southern Foodways Alliance, Prince’s Hot Chicken does seem to be the king of the Nashville hot chicken hill and for good reason. To be fair, there are people who prefer Bolton’s Hot Chicken and Fish. I was able to try Prince's competitor the last time I was in Nashville, and it was a worthy contender. 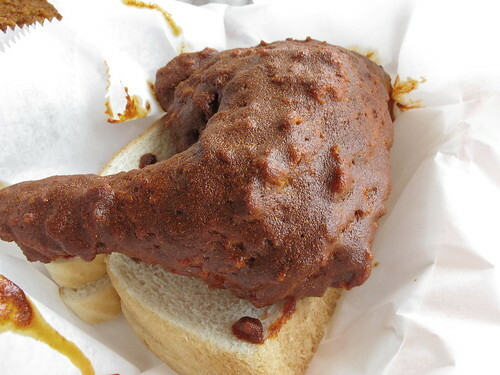 After Prince's and Bolton's, I thought I’d covered most of the hot chicken bases, but there was one more lurking in the shadows: 400 Degrees. 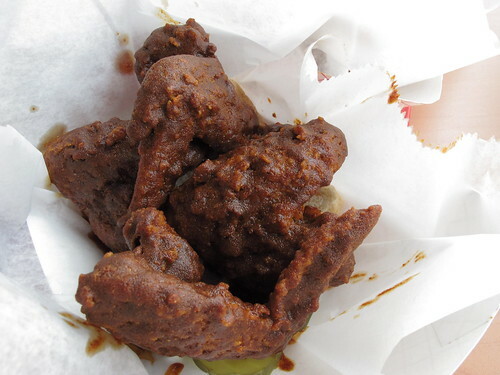 400 Degrees may be a relative newcomer to the hot chicken game, but it has garnered rave reviews in its short lifespan (here and here). Outside of the flavors, one thing that sets 400 degrees apart from its competitors is the unique approach to their chicken’s heat level. In lieu of the usual medium, mild, hot and extra hot, 400 degrees has 0, 100 degrees, 200, and 400 degrees of heat. Naturally, I wanted to see just how different each level of heat was at 400 Degrees, so I put in my order and waited for each piece of chicken to be cooked. In retrospect, I should have started with the 0 or plain chicken, but I made the trek to downtown Nashville to eat spicy chicken not regular chicken. Going with the leq quarter for extra juiciness insurance, the 100 degrees chicken was pure fried chicken excellence. 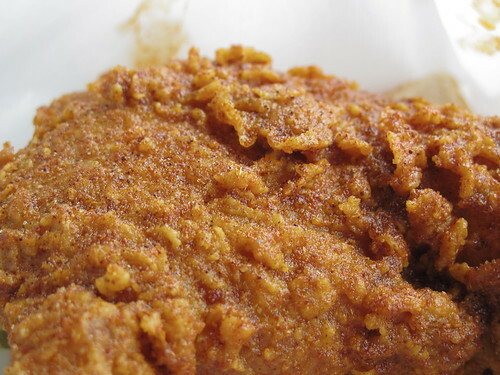 Each bite started with the big crunch of well fried skin followed with juicy dark meat. There was a nice balance to the flavor at the 100 degree level with a touch of cayenne heat that lingered at the corners of my mouth. The only real complaint was the seasoning gave the skin a slight granular texture. It wasn’t too problematic on the 100 degrees but it would play a larger role later on. With the 200 degree chicken, things began to get a little odd. 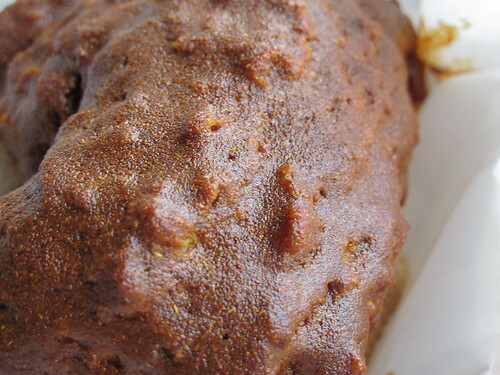 Instead of the usual crag like texture of fried chicken, this leq quarter appeared to be entombed in an thick layer of smooth, deeply maroon batter. 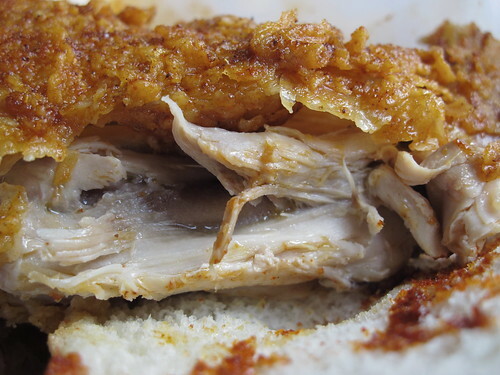 While the 100 degree chicken had a slightly grainy texture, the 200 degree suffered from a full fledged problem. There was a heavy layer of seasoning on the 200 degree but no crispy skin like before. What had been a well balanced flavor on the 100 had devolved into the heavy flavor of burnt cayenne. The spiciness was potent at first but it quickly settled into a slow burn at the front of my mouth. It wasn’t overpowering but certainly hotter than 100 degree level. Since I had already ordered two leg quarters, I decided to get something a little smaller for the 400 level. I never did figure out why there wasn’t a 300 degree level of spiciness, but it’s needed. Switching from the 200 to the 400 was a Grand Canyon sized leap in spiciness. What had been a spicy but manageable burning sensation with the 200 jumped to an eye watering, sinus clearing, lip burning exercise in spiciness. At first I thought the 400 would be tolerable, but each passing moment and bite made the heat that much more vivid. 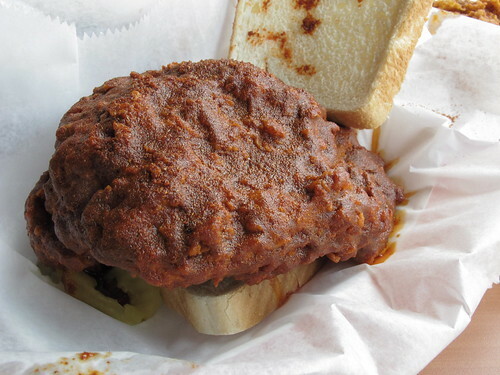 This was the epitome of hot chicken and it resulted in a solid five minutes of truly uncomfortable burning. As you’d expect the graininess increased as well, but the heat level was more the focus as this point. Curious to see if 400 Degrees could handle a pork chop as well as they could chicken, I had also ordered a 200 degree level fried pork chop. Unfortunately, the success 400 Degrees had with chicken did not translate well to pork. It was fully dressed with the 200 degree seasonings but the spice mix didn’t mesh as well with pork as it did with chicken. The graininess of the seasoning had halfway worked with the dark meat chicken but with this dry, overcooked pork, it was just a textural mess. 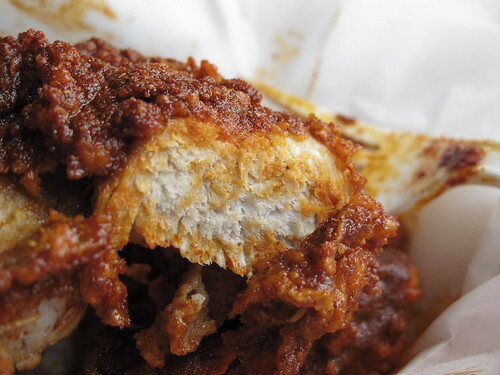 When it comes to the hot in hot chicken, 400 Degrees has the chops to stand toe to toe with their Nashville competitors, but their texture is a serious handicap. 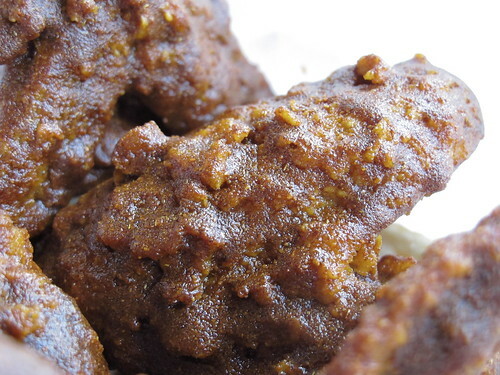 Each increase in heat level meant the graininess ratcheted up accordingly meaning every bite left my mouth coated in deep fried spice mix. Looking to the positives, even though I left out the sides, the white meat, and the 0 level of heat, I can safely say that the 100 Degree was my favorite at 400 Degrees. The 100 Degree level was the perfect balance of crispy, crunchy skin, spiciness and juicy chicken. It’s no wonder that Aqui Simpson, the owner of 400 Degrees, listed the 100 Degree as her favorite. The 200-400 level chicken looks bronzed to me, strange!